A new watch is always an exciting thing. I was interested to see if the usual frisson was there with my the F-91 Antiwatch. And it was. OK, so it’s not the sort of thrill that comes from a unpacking a vintage Explorer or an IWC MkXII, but it’s a thrill all the same. A sort of middle-of-the-road Muscat in comparison with Sauternes, maybe cheaper and less refined, but definitely worth a swig. → Episode 3 – The Devil’s Watch? ← Episode 1 – Living on the plastic – for a month. Wonderful! A new MMC journey to follow – I’m hooked already! 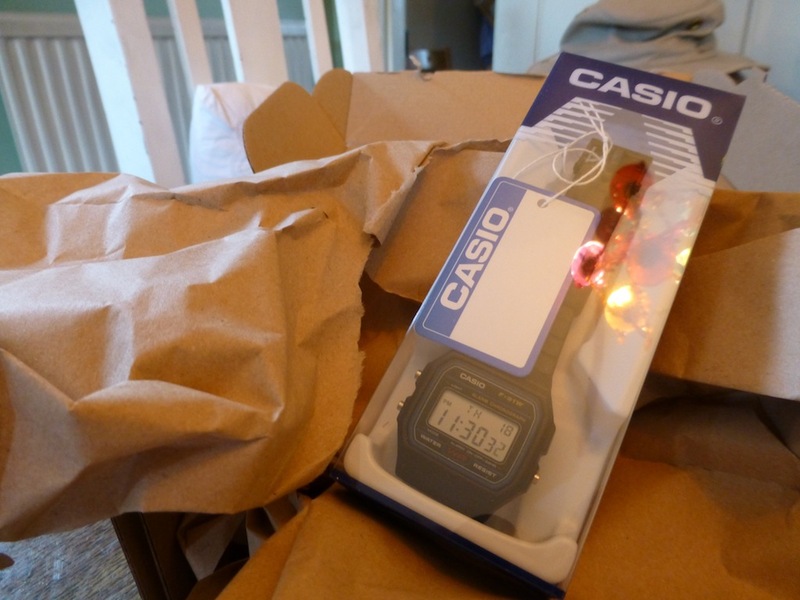 Incidentally, I had a Casio multi-time zone watch for years. It was fab for a pilot, as I was then, flying around the world. Very accurate too. Then my brother, a jeweller, insisted that no relative of his should wear a plastic watch and convinced me to buy a Breitling. I’m still wearing said Breitling some 20 years later – and I suspect my Casio is somewhere in my drawer too, no doubt still going on its original battery. I can understand the fascination in watches, even the electronic types with hands, but digital – no. I find there is something pleasing about looking at hands that (do dishes?) no, that are in relationship to the top of an hour, and from that, I can judge better how much longer I have before a certain time is reached, and for some unknown reason, I can look at my watch and tell how long it will take me to get from A to B more easily. With digital – I have to do math, and I’m weak on mental math. 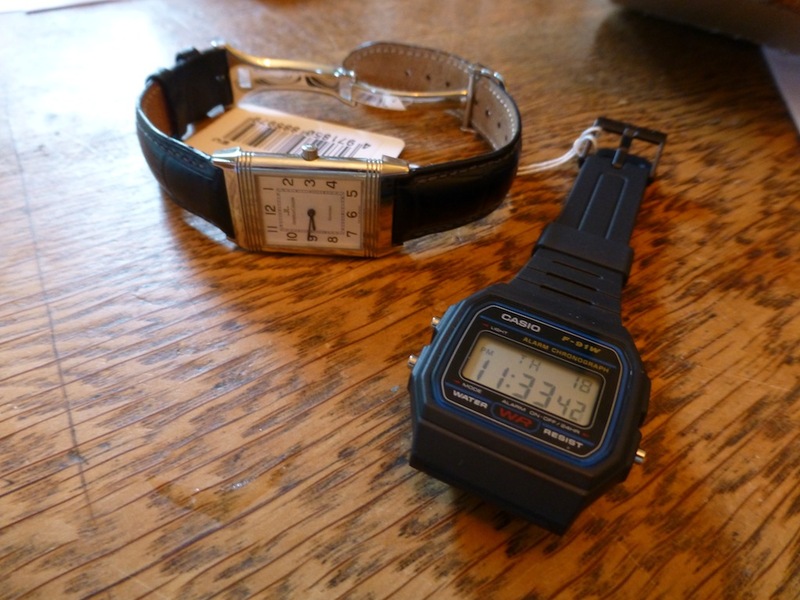 My daughter found a digital Timex in the park one day, and I wore it for a while until the clasp broke. It was pretty close to scrap metal when found, but it’s still going in a drawer. My favourite watch is my Father’s, it’s a gold plated Rotary he wore for the last twenty years of his life. But I don’t wear it – mainly because it’s not showerproof. Another of my favourites was a Sekonda (cheapskate!) a black case and strap with an eggshell face. It steamed up in the rain, so that was that. My current timepiece? I’m clean wristed – I have a pocket watch on a silver fob in my waistcoat. Nothing special – an Ingersoll ‘Triumph’. I bought it new when ‘on the buses’ in 1970, largely due to having a uniform pocket that was made for a pocket watch! Cost about £3 something back then. 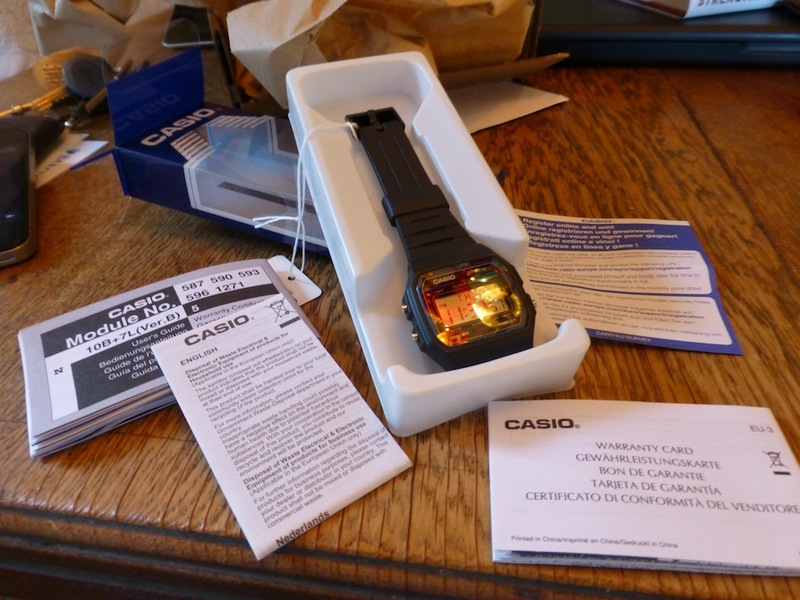 My wife has a Casio ‘Baby G’. Loves it to bits. Can’t stand it myself. But I don’t have to wear it. I do like the Breitlings though.